“Cuba is not a threat to the United States…They don’t implicate our national security in any way…The government of Cuba has not provided any support for international terrorism during the preceding six-month period; and the government of Cuba has provided assurances that it will not support acts of international terrorism in the future.” (President Obama after meeting with Raul Castro in Panama and recommending that Stalinist Cuba be removed from the list of state sponsors of terrorism, April 14th, 2015.). 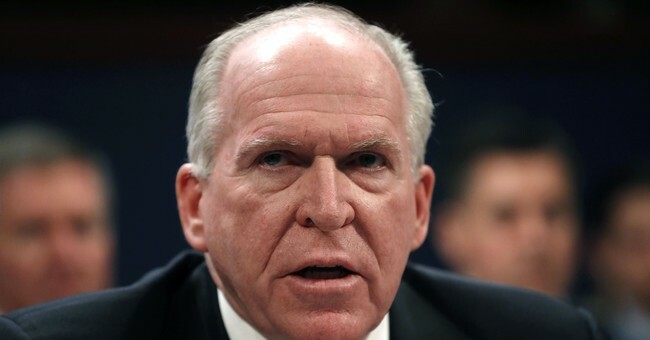 Presumably the head of the CIA at the time John Brennan, who had been a close national security advisor to Barack Obama since his 2008 campaign, signed-off on (and maybe even encouraged) Obama’s decision to whitewash and legitimize the Castro-Family-Crime-Syndicate. Never mind that this whitewash required taking one of modern history’s most infamous liars at his word. But in fact, only a few weeks before Obama’s (and presumably Brennan’s) giddy acceptance of Castro’s promise (“cross my heart and hope to die!”), Castro got caught red-handed supplying Chinese-made arms to the Western hemisphere’s oldest, biggest and most murderous terror-group: Colombia’s FARC. The terror-death toll from these Fuerzas Armadas Revolucionarias de Colombia (FARC) exceeds 200,000, and includes more U.S. citizens than were murdered by ISIS. So maybe it was a mere coincidence that the very week Obama (with presumably Brennan’s support) planned to remove Cuba as a terror-sponsor the mainstream media (especially CNN) blacked-out any mention of this blatant terror-sponsorship by Cuba in our own backyard? You see, amigos: In February 2015, Colombian authorities found 99 missile heads, 100 tons of gunpowder, 2.6 million detonators, and over 3,000 artillery shells hidden under rice sacks in a ship bound from Red China to Cuba that docked in the port of Cartagena Colombia. *The arms were from a Chinese manufacturer named Norinco and the recipient was a Cuban company named Tecnoimport. * Colombia’s crackerjack newspaper El Espectator also reported that many Norinco-manufactured arms had already been captured from FARC guerrillas over the past ten years. This proliferation of Cuba-smuggled Chinese arms to the terrorist FARC got so bad that in 2007-08 the Colombian authorities even sent a diplomatic protest note to the Chinese. This awkward information at such an awkward time, needless to say, might have hampered Obama’s plan (with presumably Brennan’s support) to cleanse the Castro regime from any taint of terror-sponsorship—at least for people with half-a-brain. Two years earlier (with John Brennan the recently appointed CIA director by Obama) Panamanian authorities discovered unregistered Russian missile parts and actual MIG jets hidden in a North Korean ship that had just left terror-sponsoring Cuba and was bound for terror-sponsoring North Korea through the Panama Canal. All the Russian made contraband was hidden under sacks of Cuban sugar. An investigation by a U.N. panel (no less!) concluded that the Cuban smuggling was a blatant violation of international sanctions. Shouldn’t a CIA director have been aware of this illegal, blatant and repeated smuggling of arms from one terror-sponsor to another in our own backyard? So they had a ball! They played him like a fiddle, humiliating his “negotiators’ (mostly Pajama-Boy Ben Rhodes) at every turn and absolutely mercilessly, while snickering. “Nothing but refugee rumors. There’s no likelihood that the Soviets or Cubans would try and install an offensive capability (missiles) in Cuba.” (JFK’s National Security advisor Mc George Bundy on ABC’s Issues and Answers on October 14, 1962. Exactly 48 hours later U-2 photos sat on JFK’s desk revealing that those “refugee rumors” were sitting in Cuba and pointed directly at Bundy, JFK and their entire staff of sagacious Ivy League national security wizards.